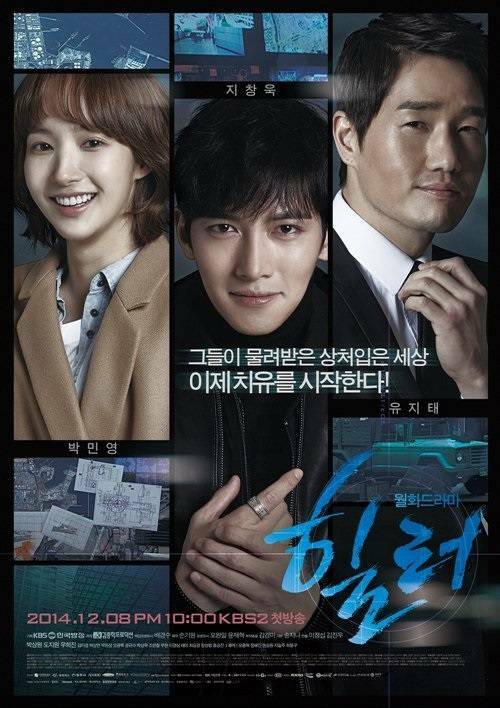 Healer reached its grand finale two days ago, 150210, with a bang! I do not regret spending 10 weeks following this drama. It was one entertaining show. Picked this up because of Ji Chang Wook but no, I’m not his fan. Trust me, all of my favorite actors are in their 30s. Got to know him through Empress Ki (read my review here) and he was so great in it. Didn’t really care about Park Min Young, in fact at first I didn’t know that it was her! She cut her hair short, the style wasn’t her, her face on the promo poster didn’t look like her and if I didn’t look it up on the internet I wouldn’t know that it was her omg!! So when I picked this up I, completely, knew nothing except Ji Chang Wook was the male lead. I’m the type of viewer who never reads the synopsis first, checks out the teasers and cast lineup before starting a drama. So in almost every case, I start watching a drama with nothing on hand. Oh well, except that one teaser that usually played at the end of the previous drama and only that one teaser! Hands down! Everyone was so good. Ji Chang Wook, oh man! Do you remember me praising him? Yes, he deserves every praise in this acting world. I didn’t expect anything from Park Min Young because I thought she needed to practice her acting more, but on this drama she was exceptionally good. They might not have that super dazzling chemistry but they looked good together. The camerawork was more than just ‘decent’ eventhough some acting scenes were not directed good enough in my opinion. The first half of the drama was boring, for me. The only thing that kept me watching was Healer being Healer and did all his Healer activities with his Healer black uniform (do I sound like a creepy fangirl?). The long convos between Park Bong Soo and Chae Young Shin had was daaaaaaaaaaamn boring, for me. The story picked up after ep 11 and it was all suddenly so exciting and interesting. It kept you at the edge of your seat every episode! I liked how Young Shin acted all cool when she found out that Bong Soo was the Healer and not giving him troubles. Evil people in this drama was evil. That grandpa who was always called as the Elder was really a scary man. Hope a character like him never exist in this world. He made Moon Shik testified false testimony regarding his dead friends. Moon Shik was a bad guy but he was a victim too. I liked how the writer made Moon Shik character as a sincere yet evil man, making us not sure where to put him in, in the evil category or the victim category. By the end of the day, thankfully, it was a happy ending for everyone. The final episode was lacking, though. It felt like they were rushing the ending. I would like to know what happen to Moon Shik, the Elder, and the genius hacker Ahjumma. I’m not going to give you, haven’t-watched readers, any spoiler so I’m going to stop here. But yes, if you want to kill you time you might want to try watching the first 2 eps first. Am I the only one who doesn’t know who Michael Learns to Rock is? OMG. Anyways, their/his song was the most played song throughout the show. Now the VA. Track #23 which is 그들의 운명 was one of the most played VA as BGM. Will I Watch it Again? Um, no.